A photograph of the Grand Opera House/Dorado Lanes, and Peninsula Press St. Catharines, Ontario. 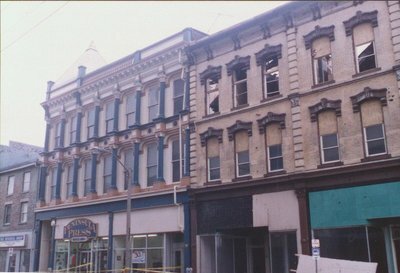 Taken after the March 1992 fire. Dorado Lanes was located at 47 Ontario Street.